Birkbeck Sport Business Centre is holding its second student and alumni conference in association with GlobalSportsJobs, a specialist digital media and talent platform for the international sports industry. The event will explore the topic of career opportunities and development within the sport industry. By organising the event, the Birkbeck Sport Business Centre continues to support the series of events for our alumni aimed at expanding opportunities for networking for career progression in the sport sector. The Centre’s ambition is to promote a dynamic and effective Birkbeck sport management alumni group. The main objective of this event is to highlight the breadth of functional areas in existence in the sport industry within varying sectors, and to provide an overview of what it means to break into the sports industry and how to manage your career and expectations while creating a highly influential network of contacts. The event will be structured around presentations by four keynote speakers who will start the event briefly describing their career journeys – their background, how they started in the industry, how their careers have progressed – providing an overview of their organisations, the opportunities within and what their current roles entail. 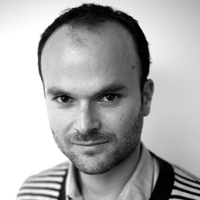 Alex Charkham, Account Director at Fuse Sport+Entertainment’s international team. Alex currently oversees Nissan’s sponsorship strategy and supporting portfolio, while also delivering strategy projects for other key global clients such as Intel and du. Prior to joining Fuse Sport + Entertainment, Alex worked on a range of partnerships with clients such as UPS, William Grant & Sons, Xerox and Genworth Financial. Chris Catling, Head of Deltatre UK. Nowadays, Chris heads up the UK business as the UK Unit Director and directs passion from being ‘on the field’ into trying to change and improve watching sport from the armchair and in the stadium. 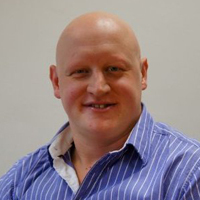 He joined Deltatre in 2006, originally providing consultancy for the Rugby World Cup 2007 project and then co-ordinating and training the 8 tournament Deltatre data and graphics teams. Chris was a professional rugby player and played in the final play-off stages for clubs in the English Premiership, the French Top 16 and the Italian premier division, acquiring 10 England “A” caps along the way. Iain Webb, Partnership Manager at the English Premier League. 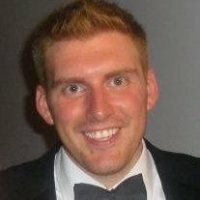 After graduating from the University of Worcester, Iain spent five seasons working in the Partnerships department at Fulham FC. A long suffering Spurs fan, he recently joined the Premier League as Partnership Manager and will oversee the rights delivery and relationship management for Premier League sponsors which include Barclays, Nike, EA Sports and Carlsberg. Mr. Paul Fisher, Group Managing Director at Jockey Club Racecourses. 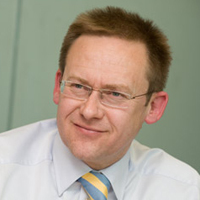 Paul is responsible for the performance of the largest racecourse group in the UK, while contributing to the executive management and business strategy of The Jockey Club group. He joined Jockey Club Racecourses in 2000 as Finance Director of its three London racecourses. He was promoted to Managing Director of Kempton Park in 2005. In 2008, he was appointed as Chief Operating Officer of Jockey Club Racecourses. In 2010, Paul went ‘back to the floor’ as the Undercover Boss for an episode of Channel 4’s hit television documentary series. After the speakers’ introduction, attendees will be randomly allocated to 4 smaller groups and each group will be joined by one of the speakers for a more intimate networking and Q&A session. These Q&A sessions are structured as break-out group meetings providing the opportunity for the audience to interact with the speakers in a more intimate and dynamic way. The session will last 15 minutes, after which speakers will rotate to the next group until all four groups have had an opportunity to interact with all of the speakers. From the Birkbeck Sport Business Centre’s perspective it is the second-of-a-kind opportunity to bring together, under the same roof, students and alumni – participants of one of the various Sport Management post-graduate programmes Birkbeck College offers. Furthermore, and thanks to the organising collaboration with GlobalSportsJobs, the participants will have the opportunity to engage and interact with leading professionals from the sport industry who will attend the event to share their experience and expertise.